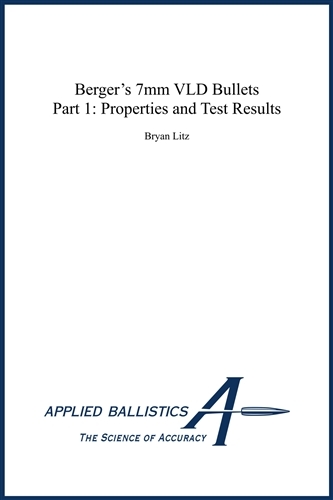 Berger currently offers two bullets in 7mm: 168 grain and 180 grain VLD’s. The versatility of these two bullets extends from big game hunting to long range benchrest competition and everything in between including long range NRA prone and F-class score shooting. 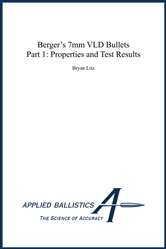 The 7mm 180 grain VLD is of particular interest because of its stellar advertised BC. In part 1 of this two part series, I’ll describe the ballistic properties and performance of these two bullets in a general sense, meaning the information applies to all types of shooting that these bullets might be used for. In part 2, I’ll explore the ballistic properties and performance of the two bullets from the perspective of long range NRA prone slow fire competition.